Bhubaneswar, Dec 30: The New Year 2018 would certainly make the Temple City more beautiful and less cluttered as the skyline would be free from unwanted hoardings and flags of various political parties. 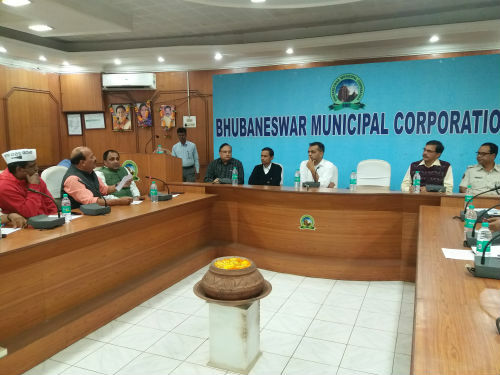 Today Bhubaneswar Municipal Corporation (BMC) convened an important meeting of all political parties in order to have a consensus on effective implementation of hoarding regulations and policies. The meeting was held at BMC’s conference room. 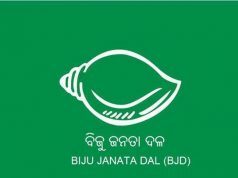 Representatives of parties like Biju Janata Dal, Bharatiya Janata Party, Indian National Congress, Aam Admi Party and Communist Party of India were there along with Deputy Commissioner of Police and Additional District Magistrate, Bhubaneswar. Senior BMC officials also attended. 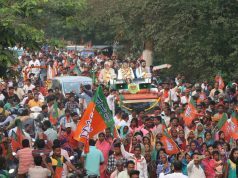 All political parties participated with great enthusiasm and promised that they would also follow the regulations strictly and never put hoardings in No Hoarding Zones. 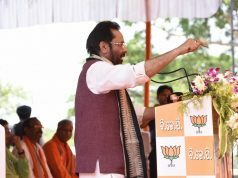 It was also decided at the meeting that BMC would bring out a simple format where individual political parties can apply before hand for putting banners or hoardings in permitted areas. All the participants agreed that the Heritage Zone shall be declared as No Hoarding Zone for keeping the heritage values of Bhubaneswar which will be helpful in tourism and promotion of culture. It can be mentioned here that the Old Town/Old City area, which was earlier known as Ekamra Kshetra is also known as the Temple City of India and has a rich collection of 361 small and big shrines with unique Kalingan temple building architecture and style. The monuments date back from 7th Century AD to 15th Century AD. Many old buildings would also be declared as Heritage buildings soon and for the region a Signage Guideline has already been prepared. The guideline has received the nod from the Authority Meeting of BDA, recently. A separate meeting of all departments of the State Government will also be convened in the month of January on this issue. Political parties also agreed to keep the city free from the loads of flags and hoardings in the No Hoarding Zones. Representatives from various political parties also requested the civic authorities to take enforcement activity against illegal display of hoardings. Decisions Taken• BMC shall form a Special Enforcement Squad for removal of flags and hoardings in No Hoarding Zones. • As per the request of various political parties, details of permission taken by a party for putting up of hoardings shall be displayed in the BMC’s website. The data will include who has taken permission for how many days and for which location across the State Capital. • It was also decided that BMC would publish public notice on various Hoarding regulations and new no-Hoarding Zone details in coming days.